In the modern day, to market your business you need online visibility, at Specialist SEO, a company based in Leicestershire we can help local businesses succeed online by optimising their website and continuously working on a monthly basis to ensure we not only get the website to rank better in search engines such as Google, but that we also fend of any competition from other websites looking to rank well. According to approximate data from Google, There are 3,350,000 searches per month from users in the UK that contain the word Leicester and 368,000 searches per month from users in the UK that contain the word Leicestershire. With a high search volume comes more competition but the obvious benefits being a much higher amount of traffic than some of the small towns. Depending on the size of your business you may choose to add additional nearby areas onto your search engine optimisation package . If you choose Specialist SEO as your Leicester Search Engine Optimisation & Internet Marketing company then we will advise on how many keywords you may need to optimise for and if you should include other areas in your SEO package to get the best possible return on your investment, other nearby smaller areas that are usually worth optimising for include Hinckley, Loughborough, Market Harborough, Melton Mowbray depending on the type of business and the demand for the service you may want to branch out further with Coventry, Derby and Nottingham all being options. If you feel your business might benefit from a brand new website then our SEO website design services could be of interest to you. 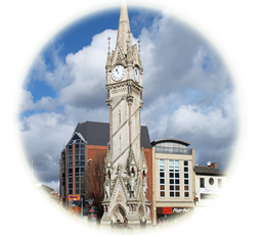 If you’re based in and around Leicester then we can arrange to visit you at your business and discuss your options to ensure our website design meets your companies needs and that the website will not only be easily found by your customer base but that our experts ensure that the sites visits convert into enquiries. We target primary keywords which have a high search volume and are most relevant to your business, however this does not mean that your website will not rank for other related searched terms with a lesser search volume. A natural optimisation of your website will lead to an increased ranking of many similar searched terms to the ones targeted.